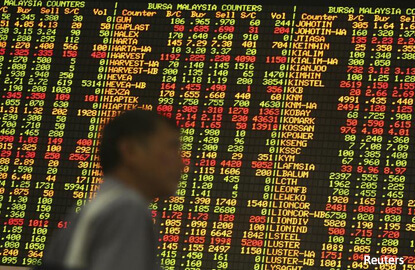 (Nov 30): Most Southeast Asian stock markets rose on Wednesday in cautious trade, ahead of a meeting of the Organization of the Petroleum Exporting Countries (OPEC), with members of the producer cartel trying to thrash out an output cut to curb oversupply. The stock markets are reacting to the fall in oil prices and the OPEC meeting that is due on Wednesday, said Harry Su, an analyst with Bahana Securities in Indonesia, adding that the group might not cut oil output. Key members Iran and Iraq are still at loggerheads with top producer Saudi Arabia, making it hard for the OPEC to reach a deal to limit output and boost crude prices. Among Southeast Asian markets, Singapore rose 0.8%, heading for a seventh straight session of gains, supported by financials. Donald Trump's election victory has boosted expectations of quicker inflation in the United States, just as the Federal Reserve appears poised to tighten policy, helping improve interest margins for Singapore banks. Singapore's total bank lending in October rose with loans to manufacturing and general commerce increasing, central bank data showed on Wednesday. The city-state's top three banks gained. DBS Group Holdings climbed 0.9%, United Overseas Bank Ltd rose 1.1% and Oversea-Chinese Banking Corp gained 0.8%. Indonesia rose 0.7%, led by financials with PT Bank Rakyat Indonesia (Persero) climbing 3.6%. Vietnam fell 0.4%, extending declines into a fifth session, dragged down by real estate stocks. Thailand was marginally higher, helped by industrials and energy stocks. Thailand's industrial output rose for a third straight month in October, but the gain was much smaller than expected, suggesting the recovery remains fragile. The Philippine stock market was closed for a holiday.